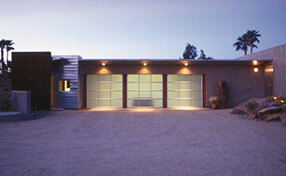 The traditional torsion springs are mounted over the center of a steel shaft which is located above the garage door. Usually, a single spring operates the entire door. If the unit is heavier - two can be used. The spring is mounted to a specially designed anchor bracket. When it unwinds, it applies force directly to the two drums at the end of the shaft so that it can be transferred to the cables that go over them. 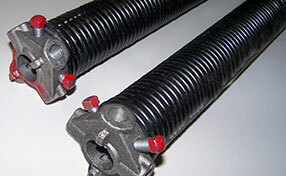 The EZ-set torsion springs, also known as Clopay springs, work in the same way as their traditional counterparts, but their design and therefore their installation are quite different. These components are mounted to special winders at the two ends of the shaft. 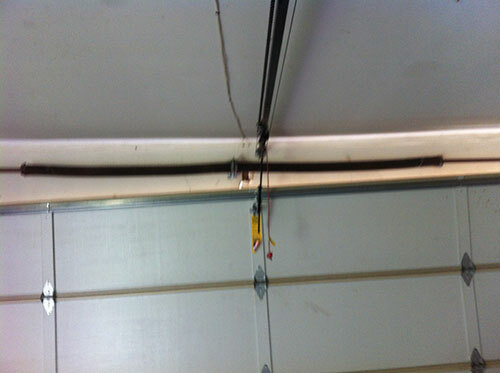 Standard two-car garage doors will use two of these springs. When the door is very wide, the shaft may consist of two sections which are connected with a coupler in the center. This makes spring replacement even quicker. 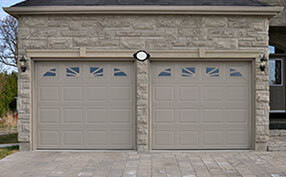 The most widely used torsion springs for residential garage doors are made from galvanized steel just like the rest of the hardware. Galvanization involves dipping the steel wire into molten zinc and that's how it receives a coating which is rust-resistant. Then it is used for making the springs. They are durable, but require regular lubrication maintenance so that the friction between the coils is reduced. The oil-tempered springs, on the other hand, are permanently lubricated as their name suggests. The steel wire which they are made from is dipped in hot oil in advance. Given that the friction between the coils is reduced to the possible minimum, these springs can work intensively without premature wearing. That is why they are preferred by people who open and close their garage door many times during the day. They have some downsides, however. Apart from the more challenging installation, they may leave thin black residue on the panels which has to be cleaned timely.